Just in case you were wondering. I mean, we have so many similarities and you know I look just like her, but I'm afraid our cooking skills just aren't on the same level. In the April edition of O at Home there was this feature about a woman who couldn't cook and wanted to make something really special for her husband and anything she had tried to make, she ruined. 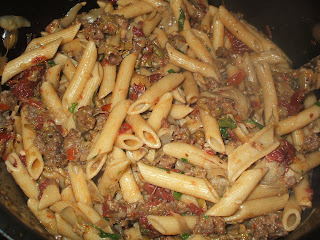 They had her follow this recipe from Giada and her husband loved it and she felt like she had redeemed herself. I thought it looked sooo good and sounded right up my alley. Maybe it's my pregnancy, but I really, really wanted this dish. So, I ripped it out and put it in my "recipes to try" file. I was going through that file last week and found it and I really, really wanted it again. Plus, we have a little herb garden and it called for fresh basil and parsley, so I thought it would be a perfect Sunday dinner dish. While I was at the store, the ingredients were getting pretty expensive and it called for fresh asparagus. It was $4.50 at the store, so I thought canned asparagus would do just as well. Very, very bad choice. Have you ever seen canned asparagus?? Not the kind you get at Costco in the jars, but in the grocery store in the .99 cans. 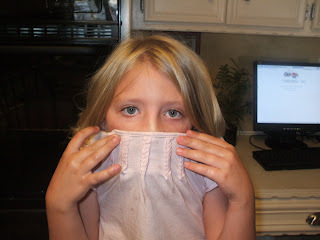 It is the grossest looking, smelling thing ever. It got all stringy and warm and was an awful color. It made everything mushy. This is what my dish ended up looking like: Nasty. 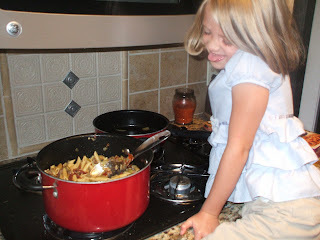 Plus, I don't know what I was thinking with the sundried tomatoes and artichoke hearts with my kids. Did I really think they would love them? We basically picked out the noodles and filled up on bread. Except for my 4 yr old, who came in amidst all of the groaning and complaining, sat down and started eating and said, "mmmm, I like it, Mom." Did I mention he's my boy? 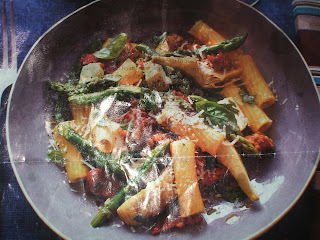 My husband tried to like it, and so did I, but that asparagus mushed in everwhere really ruined it. Oh, and here is the recipe. 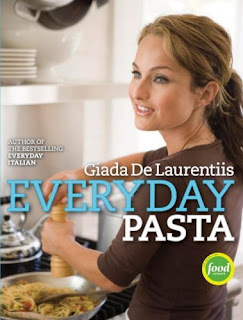 It's the second featured recipe on Amazon's main page for her Everyday Pasta book. I'm sure it could be very, very good. Just don't use canned asparagus. LOLLOLOLOL!!! That just cracks me up!! I could of told you that canned asparagus is the grossest thing ever! My parents gave us canned asparagus when I was a kid, and it has traumatized me for years!! It wasn't until this year that I tried fresh asparagus, and then discovered that fresh asparagus is WAY better then that crap in the can! :P I LOVE Hailey and Lauren's faces. PRICELESS!! Hahahaha! They are so close to looking the same. I am only laughing so hard because that looks way too familiar. It is SO sad when you are so excited for a fun, new, yummy dish and it turns out, well, not quite gourmet. Kudos for trying, right? Poor thing! Pregnancy can make you do funny things. I think that dish looks fantastic...but I know how things can go wrong, too, and usually just when pregnancy is giving you a wild craving! I can relate!